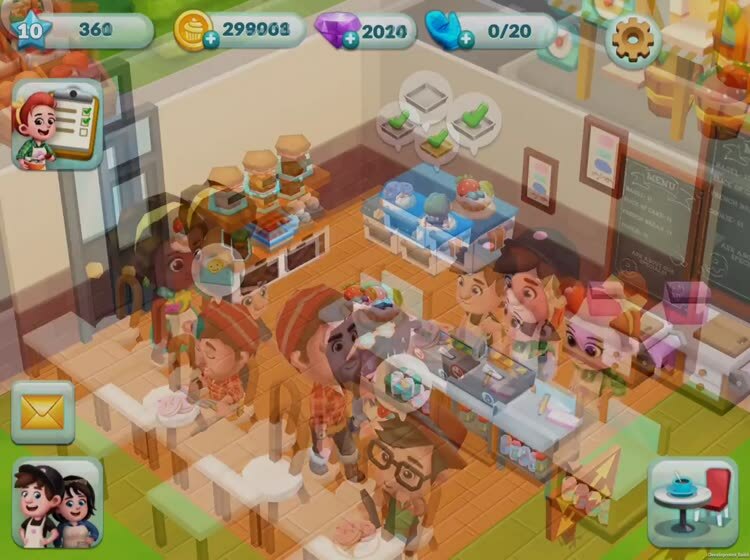 Create the bakery of your dreams in Bakery Story 2! 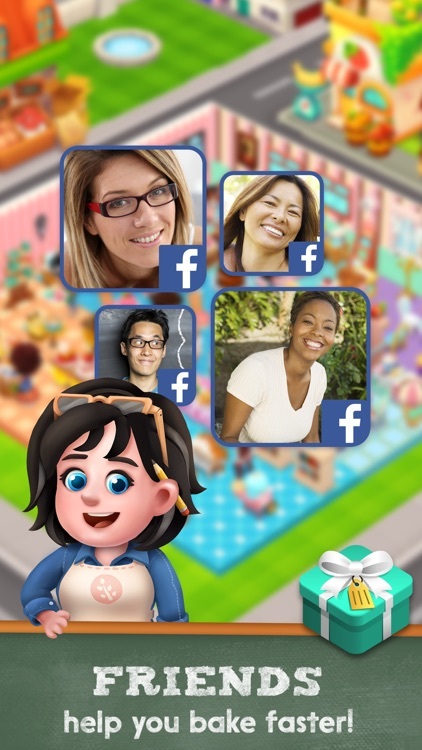 From the creators who brought you Bakery Story, it’s a fun & tasty new baking adventure! 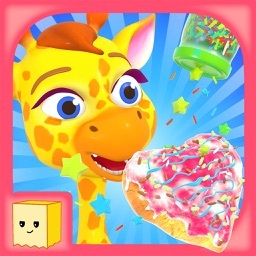 Bake desserts, collect special ingredients, decorate, and share in a beautiful 3D world. Stunning looks and great music make this bakery the sweetest around! 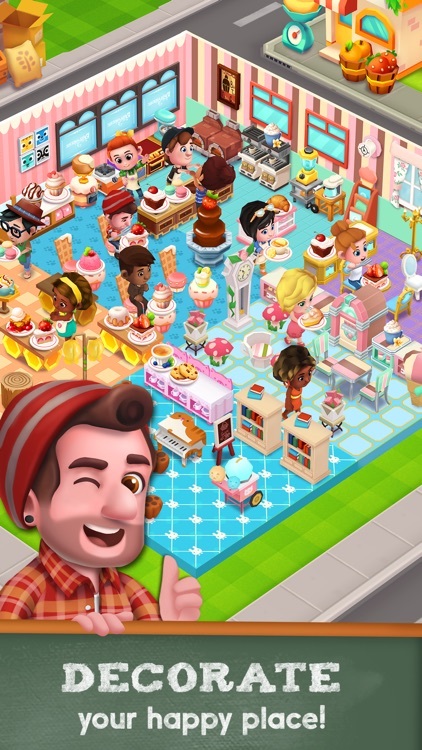 Treat yourself to Bakery Story 2! BAKE sweet treats that your customers will love! Choose from dozens of cakes, coffees, and much more! DISCOVER an incredible 3D world brimming with baking fun! 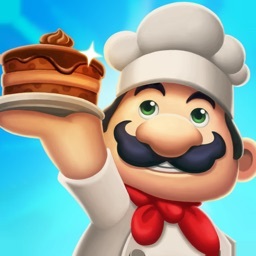 Unlock amazing restaurant customization options and crazy cooking games! DESIGN your own pastry paradise! 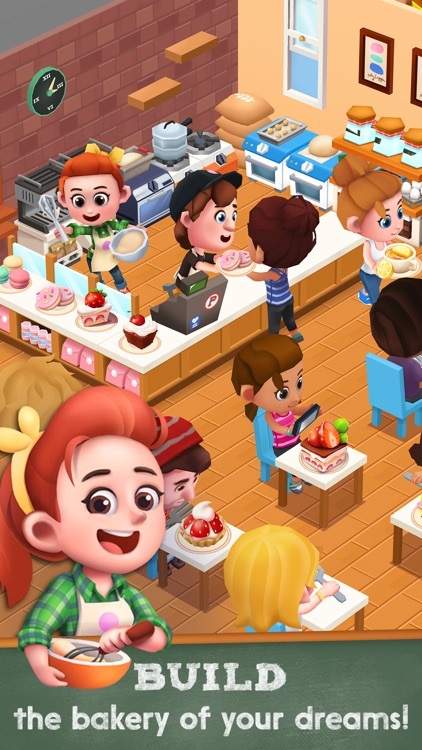 Experience the unlimited variety and customization of Bakery Story 2! MANAGE your bakery to be the best! Create a menu, customize the furniture layout and more! 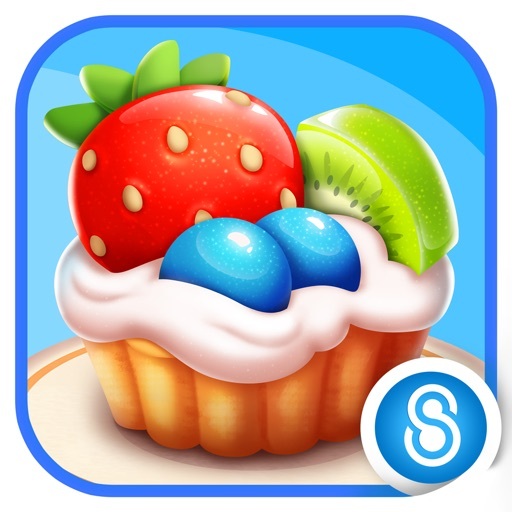 - Dash to meet bakery goals and expand your baking empire! New opportunities each day! 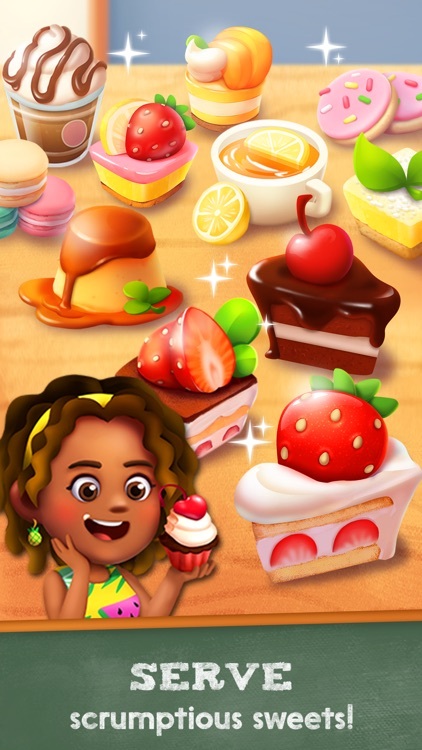 DECORATE your bakery with thousands of unique tables, wallpapers, art pieces and more! - Paintings of fresh food and hay give your bakery a rustic vibe, while contemporary furniture offers a modern look. With so many styles, the choice is yours! SHARE bonus tips and recipes with online friends! Chat and trade with other bakeries to discover secrets! FREE to download and play, with FREE updates! There’s always something new to discover. Tell your bakery story the way only you can. Explore a massive catalogue of desserts, drinks, decorations and furniture, and share your secrets with friends online. 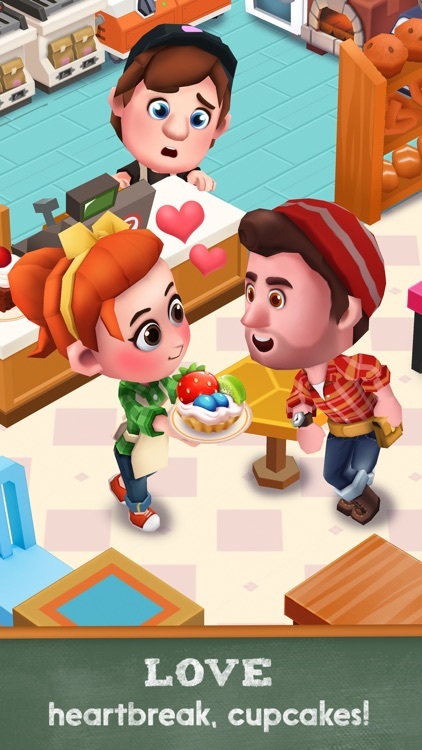 Manage your bakery, expand, and get the whole town talking about your sweet treats! Fans of restaurant and diner games will savor this sweet adventure! 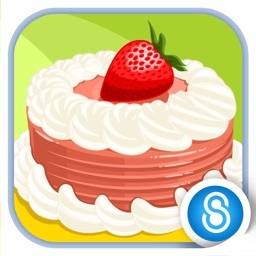 Download Bakery Story 2 and treat yourself to a bakery adventure today! 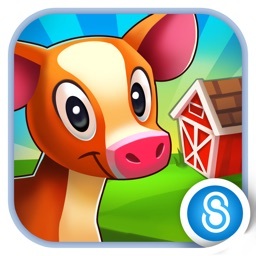 Bakery Story 2 is an online game. Your device must have an active internet connection to play. 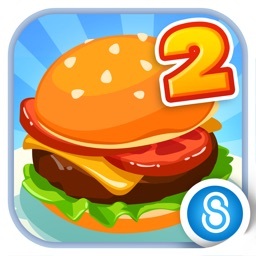 Please note that Bakery Story 2 is free to play, but you can purchase in-app items with real money. To delete this feature, on your device go to Settings Menu -> General -> Restrictions option. You can then simply turn off In-App Purchases under "Allowed Content". In addition, Bakery Story 2 may link to social media services, such as Facebook, and Storm8 will have access to your information through such services.